I just read an opinion aired on a blogg(link posted below), to the effect that it is not necessary to send our army into Somali land in pursuit of the Al-Shaabab, and that the Anti Stock Theft unit of the Police would suffice in dealing with the terror group. 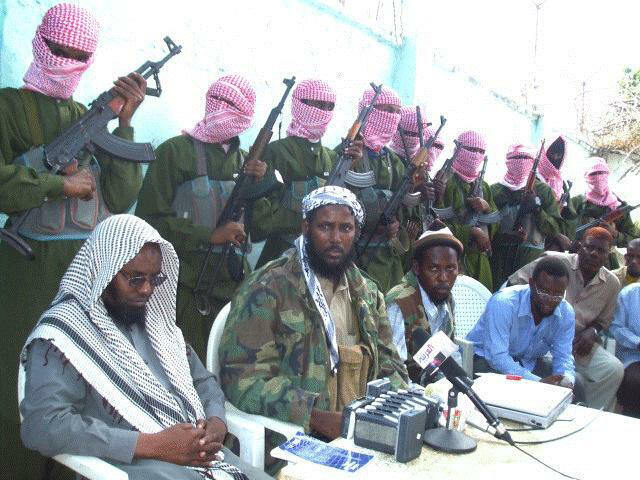 Al – Shaabab, also known as Harakat Al-Shaabab Al-Mujahidin (HSM) is a group that managed to gain and maintain control most of southern Somalia after its mother organisation, the Islamic Courts Union (ICU) that controlled the capital Moghadishu, was driven out by a joint Ethiopian-Ugandan military project. Al-Shaabab was the military wing of ICU and has a cocktail of ideological, forced recruits and volunteer fighters on offer. So to juxtapose it against Mungiki would only reveal an asymmetrical correlation in an organic sense where Mungiki would be seen as a small child making the clichee statement,”when I grow up…”. We should be very afraid of the gang, particularly now that it has threatend Kenya. They managed to carry out bombings at the heart of Kampala during the 2010 FIFA world cup which killed more than 70 people, they have successfully manage to kidnapp both Kenyans and foreigners from within our borders and they are known to have links with Al-Qaeda. The US doesn’t take their threat lightly and according to information from their Centre for Foreign Relations(CFR), they have drones hoovering over southern Somalia that are constantly gathering info and occasionally dropping a bomb. We are at War! The blogger doesn’t seem to appreciate this fact and rushes to point out that it is a joint operation by the Kenya and Somali governments. He calls it an asymmetric war where Kenya is being unfair by using resources that the HSM doesn’t have. I agree with him that the media are bent on calling it a “war” rather than a “joint military op” for its business value, but that is just a Potatoe-Viazi situation, same thing by a different name. 1. tightly sealing the borders to ensure no entry and exit across Kenya- Somali. 2. Fishing out the militant elements and sympathisers trapped on our side of the border. Both of these have began simultaneously and the heavy military presence at the border towns is already proving the seal. Whether the crashed helicopter is indeed the result of a mechanical problem as reported or the handiwork of an Al-Shaabab counter is still debatable. Al-Shaabab has both the opportunity and motive. They are, however, always quick to claim responsibility for every single attack they succcesfully carry out. In an interview with Citizen TV, Francis Kimemia the Permanent Secretary for Security, mentioned a series words that had me gravely worried. Daabab, Eastleigh, sympathisers, legitimate refugees, unregistered refugees, repatriation. The alarm bells were furiously ringing. 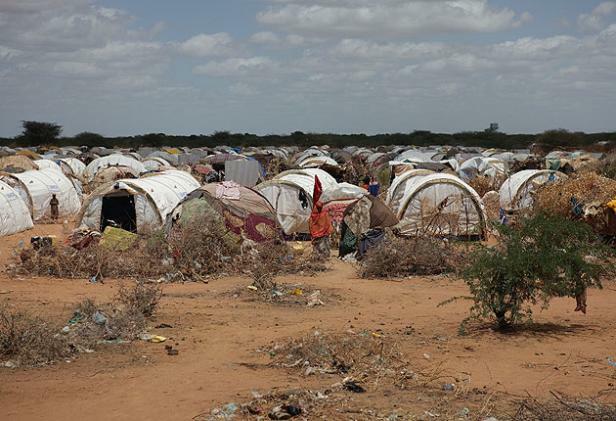 The possibility of having ideological supporters on this side of the border is obvious, but panicky and hurried attempts at fishing them out among Kenyan- Somali and Somali refugees can only result in abuse. 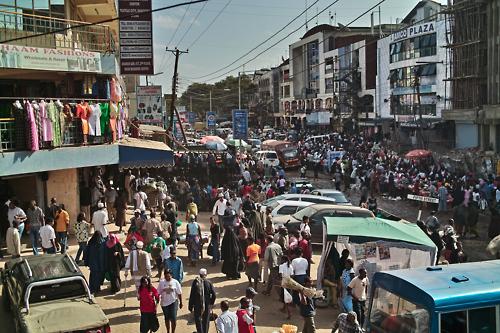 Like in the US, under the Bush administrations homeland security policies that legitimated racial profiling, there will be gross ethnic profilling and life for the average ethnic in Eastleigh would be tough. You can imagine what it would be like for the over four hundred and fifty thousand refugees in camps up north. It is a well known fact that our country would welcome any quick solutions to the refugee camp “menace” and our government only allows refugees because it needs to be in good books with the UN. Tagging the camps a risk to national security, would provide a permanent solution in the form of mass repatriation. it is for this reason that I hope and pray that any available angle including and prioritising diplomacy, be studied and pursued in resolving the conflict and handing back the refugees their home in a peaceful state. This would also ensure that our Kenyan brothers and sisters of somali ethnicity are subjected to rights abuse by government agencies as they did in earlier years.